I’ve said it before and I’ll say it again: many schools are failing to show students how to perform at their best under pressure. They seem to think it’s sufficient to teach the curriculum and say a few encouraging words. But that’s not good enough. So as we head into exam season, I want to change that by offering some extra help. It turns out that top achievers in sport, entertainment and business have certain routines they do before important performances that enable them to perform at their best. The same routines can be used by students to succeed in school. 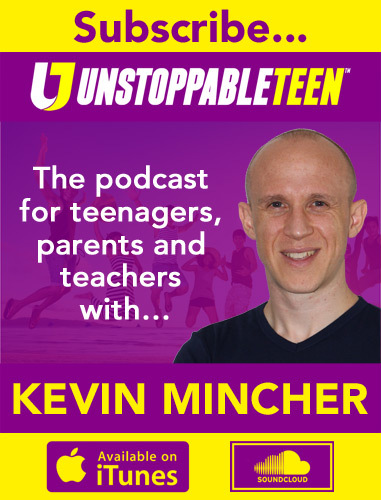 In this episode of The Unstoppable Teen Podcast, you’ll hear tips on what to do (and what and to avoid!) in the 24 hours before tests and exams in order to boost your chances of getting the grades you want. Kevin created a new FREE webinar for teachers. He’ll be sharing 8 proven strategies for improving student progress and achievement. If you’re a teacher and you’d like to know more, simply go to unstoppableteen.com/progress to register today! 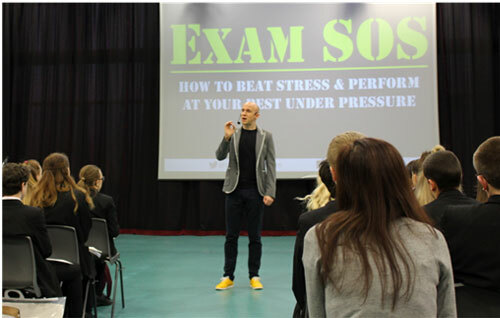 Invite Kevin to deliver his Exam SOS seminar in your school. Simply email podcast@unstoppableteen.com for more information.